Five days short of my second anniversary on Medium, I deleted my blog. After months of internal debate and repeated disappointments, I made the decision to move my blog to my personal website. I’m running a small online business, I should be focusing all the energy I can on getting traffic to my website. Despite having a website that was all about my writing, I was putting my writing somewhere else. What initally seemed like an opportunity for community soon turned out to be nothing more than traffic I was missing out on. I gained some followers and followed other blogs, bur there wasn’t much communication between them. My comments didn’t get responses and there were very few discussions going on in comments sections, even on popular posts. I also noticed that many people had abandoned their blogs in the last year, so I was receiving fewer claps on my posts and had fewer people to interact with. This could be Medium’s cause of death, if I’m honest. I liked the idea of making money from my blog; in fact, it was a huge factor in deciding to sign up in the first place. But I made very little money from my blog because most of the people who read my posts weren’t paying Medium customers. I experimented with having free and paid posts, but most of my views came from my social media platforms. Despite my content being inaccessible to a lot of my readers, I wasn’t profiting from it. Honestly, I was hoping to make some money. Freelance writing isn’t the most stable source of income and Medium’s promises of earning revenue were too tantalising to ignore. Of course, it was too good to be true. While blogging on my personal website won’t bring in any money, I have more control over my work and my readers will be able to access everything I publish. I’m not the only person in this position. Personal websites have grown in popularity over the last few years, and more and more people are taking up blogging. While a site like Medium has the ease of finding all your favourite blogs in one place, there’s something great about visiting someone’s personal website to read their blog. They become more of a fully-fledged person, not just a profile picture on a newsfeed. You can read their back catalogue, interact with them, and browse the rest of their website to see what they’re doing. 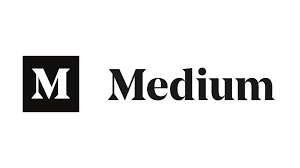 It’s creating a personal touch that can be difficult to find online, something that sites like Medium can’t provide.